The Pierce Results System was designed by Dr. Walter V. Pierce over his 30+ year career. His goal was to take the best chiropractic had to offer, improve upon and add to it, and create the best system of spinal care the world had ever seen. With the use of state-of-the-art “Videofluoroscopy” (spinal video scans), “Digital Infrared Thermal Imaging” (digital nerve scans), and the most advanced manual and computerized adjusting techniques, he did just that! If you were a detective…and you could choose between having pictures of a crime scene or video footage of the crime taking place – which would you choose?? The video of course! This is one of the most important contributions Dr. Pierce gave to the chiropractic profession – the ability to SEE spinal problems instead of just “feeling” them. Research shows this new technology increases the accuracy of detecting spinal misalignments chiropractors refer to as “subluxations” up to 93%!!! Dr. Jaszewski is one of only a handful of chiropractors in New Jersey with this new technology. 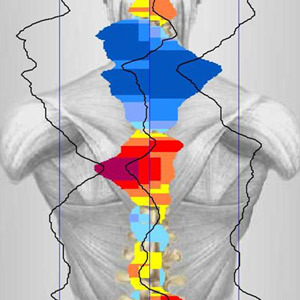 …the most valuable test available for evaluating the autonomic nerve system. Dr. Jaszewski again is one of only a few in New Jersey with this powerful technology. Dr. Jaszewski utilizes the PulStar G3 instrument from Sense Technologies. The G3 is a vibrational impulse instrument that can send up to 50 impulses per second into the desired segment of the spine or associated structures. Not only can it provide speed, reproducibility, and accuracy in its application toward subluxation removal – it can also read the patient’s response in real time while adjusting the frequency of the instrument to best complement each person individually. This combination of technology and training make Dr. Eric Jaszewski and Lawrence Family Chiropractic leaders in the Chiropractic profession!